The leaves have changed color, the sun sets a lot earlier, and I now find myself wearing more and more layers each day. Yes folks, summer 2013 is now a distant memory filled with picnics in the park, ice cream sundaes and boat rides on Lake Ontario. As a “West Indian Dawlin”, the season change into Autumn tends to have a total effect on me. My body stiffens up, I struggle to find appropriate clothes to wear, and I never want to leave my house. It seems that I suffer from hot weather withdrawal. I do try to focus on warm, cheerful things to help the transition flow a bit smoother. Half the time I envision myself sitting on the veranda at my Auntie’s house in Jamaica, eating escoveitched fish and fried plantain. This exercise does not necessarily work BUT, it sure does put a smile on my face. I cannot help but be filled with glee when I think about the islands. I am a Canadian-born woman but I strongly identify with my Jamaican ethnicity, thanks to my mother who made sure her cultural practices were a part of my upbringing. Funny enough, I was first introduced to the Caribbean culture during my first year at Ryerson University. Are you familiar with Carnival? Now I do not mean carousels, clowns, and cotton candy; Ha! I am specifically referring to the vivacious Caribbean Carnival where millions of revellers across the globe celebrate their land and heritage. You can find the celebration all over including the United States, the United Kingdom, and France. You may have also seen photos pop star Rihanna in different Carnival costumes – she often participates in Kadooment Day, the Caribbean Carnival on her home of Barbados. The Caribbean Carnival consists of beautiful masqueraders wearing hand crafted designs as they parade in the sun to the island vibes, energy and music. Carnival has been a huge part of my life over the past few years. While I was an executive for Ryerson’s West Indian student social club, I was asked to wear a carnival costume for the school fashion show. I was so shy at the time that I actually wore the costume overtop black yoga pants – Yikes! The costume was gorgeous though. It was covered in blue and silver bedazzled gems complimented by huge white and blue ostrich feathers. At that moment I fell in love. I knew that it would only be a matter of time before I wore a costume like this again. I was right – months later I participated in my first Toronto Caribbean Carnival (CARIBANA Parade) and have been highly active in the Caribbean community ever since. I recently launched a Caribbean Carnival entertainment group aimed at showcasing Caribbean dance, beauty, and music. A few company members and I will be heading down south this Fall for a performance during the Miami Carnival. Hence where all this Carnival talks is coming from! I love seeing how folks in different regions interpret the celebration. I feel it necessary to share my excitement and I have even gone as far as to prepare a little carnival info sheet for your convenience. The lists below will be quite helpful for anyone who has considered participating in the parade but were too shy, preferred to be in the audience, or simply didn’t know how. • Caribbean Carnival originated on the island of Trinidad and Tobago during the 1800s. When the Africans were freed from slavery they took to the streets to celebrate through song and dance. The various elements of Caribbean Carnival (i.e. Costumes, Music, etc.) are ever changing. • ANYONE can participate in the parade and no you do not have to be from a specific ethnic background. You simply have to register and purchase the costume of your choice. Costume designers present their mas annually – a few months prior to Carnival. Once the costumes are launched they are sold on a first come first serve basis. Costume prices vary from country to country. • Music often heard during Carnival is melodic sounds of the steel pan drum, and genres of music such as Soca, Calypso, Chutney, Dancehall, and Zouk. • August 5th, 1967 is the date of the first Caribbean Carnival parade that started right at Bloor and Yonge and headed right down to the Toronto Islands. 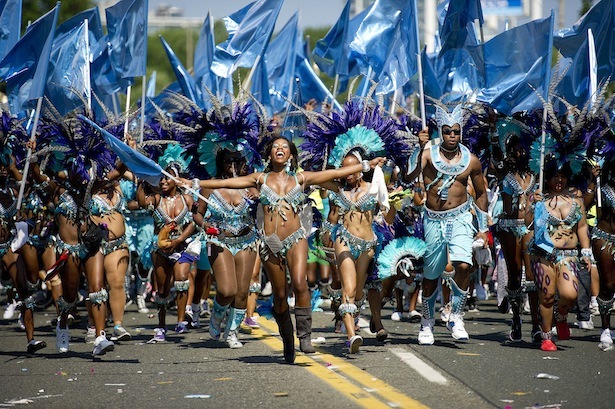 • The festival was formally named “Caribana” and is often recognized as such internationally. 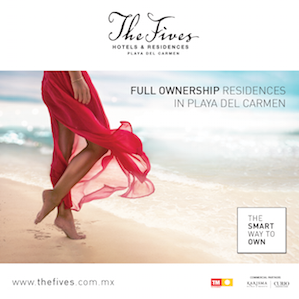 • Leave your stress at the door – or better yet leave it at home! Carnival is all enjoying yourself and having a good time. • Wear comfortable shoes; plan to be on your feet for hours. I consider the mas bands to be the foundation of Carnival. These groups provide the costumes for everyone to wear come parade day. Each year, different designers from each band present costumes based on a given theme. Once costumes are selected by the masqueraders, each band competes for the title of “Band of the year” along the parade route. Toronto is home to several bands and below is list of the Top 3 winners from the 2013 parade. The term applies to a party that plays primarily soca music. The word originates from the French-Creole Caribbean word meaning “festival”. Many fetes include live performances by popular soca artists that add an entirely new dimension to the atmosphere. I personally enjoy fetes because of how carefree everyone is. The dress code is usually casual and comfy while the music is filled with so much energy that you cannot help but “free up” yourself. Similar to a fete, J’ouvert is a soca celebration; however there is an additional element that includes party goers tossing oil, paint, powder in the air. Huh? Is probably what you are thinking BUT Jouvert is one of those experiences you must try to understand it fully. The term comes from the French-creole contraction of jour ouvert, which means break of dawn. Hence why J’ouvert often takes place throughout the wee hours of the morning before Carnival. Let us just say if you plan to participate in carnival, you should get your rest a week in advance. • The photo attached to this article was taken during Toronto Carnival 2011. We were the “Mermaid” section of the band Carnival Nationz as the presented the theme Mystical Creatures. That year, one could see blinged out unicorns, dragons, etc. dancing along the lakeshore. The photo was captured by a popular news photographer when my band was crossing the judging stage along the parade route. For any masquerader, crossing the stage is one of the best parts of Carnival. The moment lasts about two minutes but it is as if the moment slows down while you and your band mates proudly display your costume. I can even remember the song playing when this photo was taken! Track name: Advantage by Machel Montano – Check it out! Alright folks, that is all for now. I hope these words have made you smile, brought about some cultural enlightenment, and most importantly, added some Carnival Spice to your life! 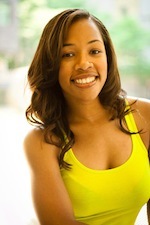 Born in Toronto to West Indian parents, Shakera Martin was exposed to music and dance at a very young age. Her live performance, commercial, and hosting credits include clients such as the Shoppers Drug Mart, PRIDE Toronto, CTV, MuchMusic, Scotiabank and the Toronto Marlies. Since earning an Occupational Health and Safety degree at Ryerson University, Shakera aims to promote the relationship between health, wellness and dance. She is also the Artistic Director of Carnival Spice and Everything Nice entertainment. For bookings and inquires email [email protected] or visit @SimplyShakera on Instagram and Twitter.